With Vivint security cameras, you can easily access video clips from your smartphone or laptop, schedule recording times, or set the cameras to record whenever motion is detected. 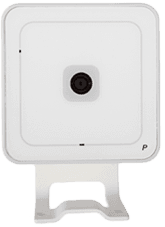 The Vivint Pan and Tilt Video Camera gives you the greatest coverage because the camera can swivel. With the "live look-around" feature you can remotely view your home in real time. The Pan and Tilt Camera covers multiple angles so you don't need to buy as many cameras to get the same coverage. 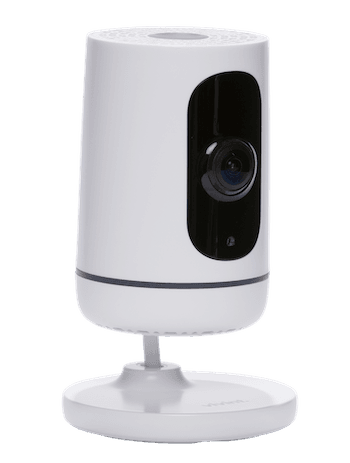 You can save preset positions and specific camera angles to quickly and easily view your home remotely from your smart phone. 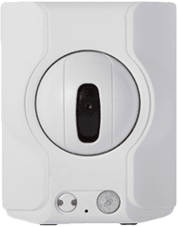 The Fixed Lens Camera is ideally set up to record video whenever motion is detected in the room. You can also schedule it to record during certain times. The video clips are stored remotely, where you can view, tag, search and retrieve them later. The camera is equipped with built in Wi-Fi so all you need is a high speed internet connection and a power outlet to enjoy the benefits of video surveillance—no computers or software necessary.